Princess Cruises has announced that three more of its ships – Crown Princess, Golden Princess and Ruby Princess – will join the Ocean Medallion Class fleet. Tony Roberts, Vice President of Princess Cruises UK and Europe, said: “By the beginning of 2019, seven Princess ships will be in the Ocean Medallion Class fleet and we’re looking forward to others being equipped with the Ocean Medallion in the future. Both Crown Princess and Golden Princess will be Ocean Medallion ready in November 2018, with Ruby Princess in January 2019. Four other Princess ships have previously been scheduled to feature the new technology: Regal Princess on 13 November this year; Royal Princess on 19 January 2018; Caribbean Princess on 18 March 2018; and Island Princess on 16 May 2018. The Ocean Medallion is a wearable device – the same size of a 10p piece – that is fully automated and has no visible technology such as an on-off switch or charging function. The medallion will pair up with the Ocean Compass, which acts as a ‘digital concierge’ and is accessible via personal mobile devices, stateroom TVs and interactive displays throughout the ship. Together, the Ocean Medallion and Ocean Compass will be used to streamline the embarkation and disembarkation process, as the medallion gives quick and easy access to the ship. It will also be used to unlock guests’ assigned stateroom door as they near it, so replacing the current key card. Its other features include enabling guests to purchase merchandise, services, excursions, food and drinks, provide enhanced dining experiences based on food and drink preferences, enhance interaction with crew members and other guests, help guests find their way to venues around the ship, make reservations for the onboard spas and restaurants. Two ships based in Europe in the spring and summer of 2018 will have Ocean Medallion technology on board: Royal Princess will cruise the British Isles round trip from Southampton, while Regal Princess will tour Scandinavia and the Baltics. 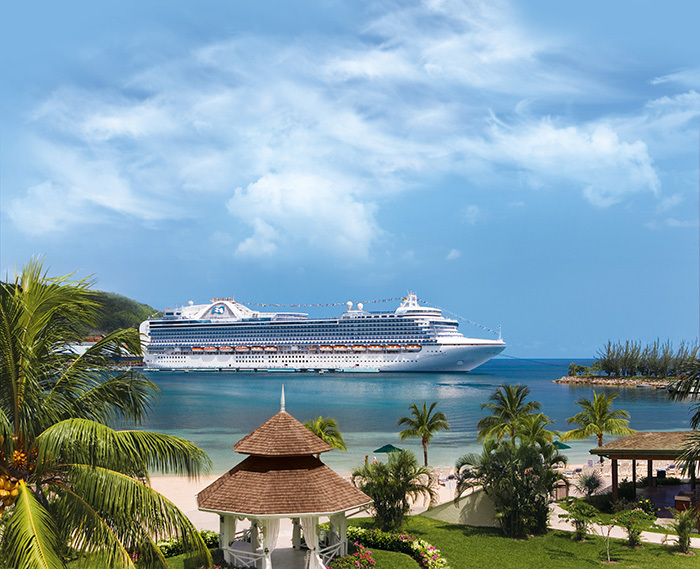 Crown Princess will sail the Caribbean from November 2018 to April 2019, offering either 10 or 20-night cruises with 28 itineraries available.